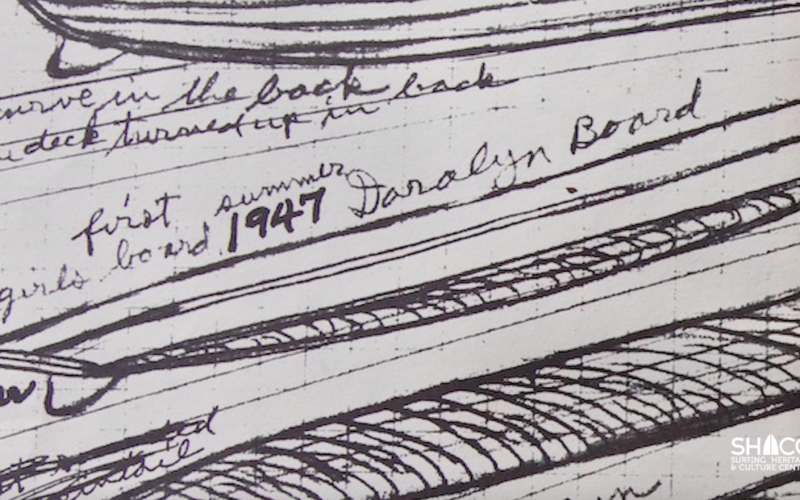 In ’47, Quigg crafted an experimental balsa-redwood hybrid for Darrylin Zanuck, daughter of Hollywood mogul Darryl Zanuck. Thinner and lighter than any other boards of the era, the 25-pound “Darrylin” model became the precursor to the Malibu chip. It’s during this time that Quigg and Simmons also began to develop the first polyurethane foam-core boards, an all-fiberglass fin, and a narrow-base raked-back fin. He also began to develop the first pintails, designed to handle better in bigger surf.